Our organization is counted amongst the most distinguished manufacturers, suppliers and traders of excellent quality Plastic Pallets. Finest quality plastic that is sourced from trusted vendors of market is used in the production process. 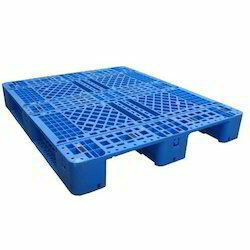 Available in various specifications, these pallets are used for material handling, storage, cold storage, logistics and distribution for fruits & vegetables. With our ability to make quick business decisions, we manufacture and supply an exclusive array of Heavy Duty Plastic Pallets in vivid colors & patterns. Our prime motto is to serve the ever growing needs & requirements of our clients-base, that trust us for quality, accuracy, punctuality, and ethical process. The provided pallets are re-usable & recyclable, that means no disposal issues with this products. 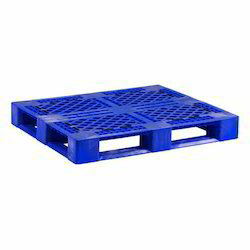 The plastic pallets are used in a wider spectrum, mainly to store & protect goods from odor, fire and breakage. Being as a leader of HDPE Pallets market, we are giving good competition to our rivals, by manufacturing and supplying a qualitative range of products at market leading prices. Also, we emphasizes on production standards, so as to deliver finest quality products to the clients-end. 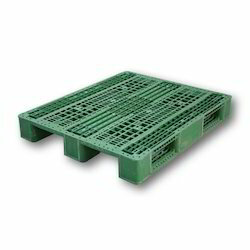 Mainly, these pallets are used in the areas, where racking & multi stacking is required. 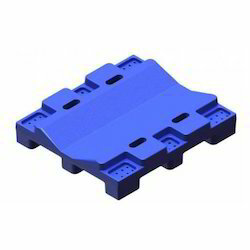 We receive huge orders from construction, engineering, and automobile industries for these HDPE pallets. From our end, we never delay the orders & fulfill them promptly. 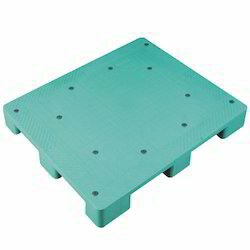 We are one of the leading organizations engaged in manufacturing, supplying and trading qualitative Roto Moulded Pallets. The range offered by us is widely applicable in industries for storing, material handling and many more requirements. Besides, we inspect these pallets on certain parameters of quality so as to rule out every possibility of defect. We are a paramount organization that is engaged in manufacturing, supplying and trading high quality Roll Pallets. To be in compliance with the set industry norms, our experts ensures to make use of quality assured raw material and high-end machines in manufacturing the offered roll pallets. Entire range is properly checked on various quality parameters prior to final dispatch. With our long years of specialization and knowledge in domain, we are offering a wide array of Roto Pallets. 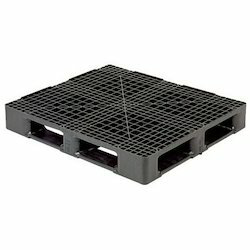 The Roto Pallets we offer are known for their applicability in industries for storing, material handling and many more. Besides these, the Roto Pallets offered by us is easy to use and durable. 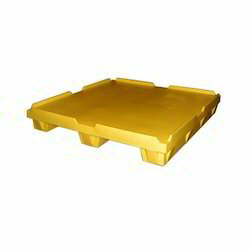 We are the leading manufacturer, supplier and export at sangam plastic industries pvt ltd of Pallets(Exported)in India which are used for various industrial purpose. these are manufactured from high grade raw material and offer excellent life and durability. These are supplied and exported at competitive prices.